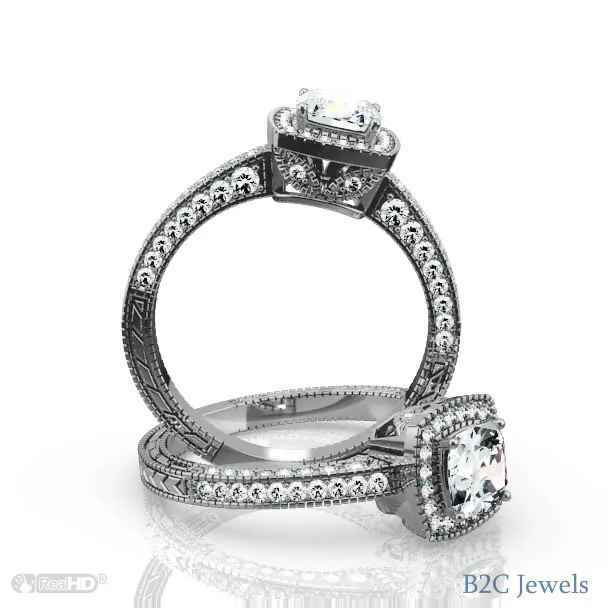 Our vintage inspired engagement ring is loaded with intricate details. The cushion cut center prong setting is surrounded by a halo of glittering diamonds and is adorned with a delicate leaf motif expertly engraved on the profile. 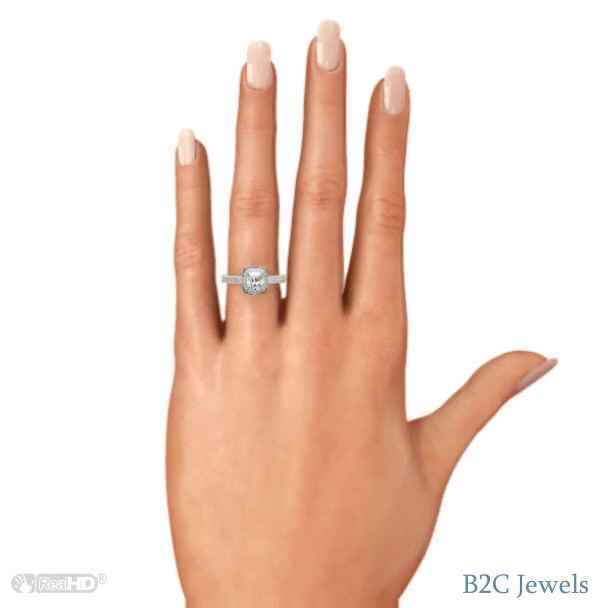 Milgrain edges add attractive texture while diamonds set along the band provide additional sparkle.